Click UI Icon Pack for Android! 860+ HD Icons & 10 HD Wallpapers ~ AndroidRootz.com | Source for Android Rooting, ROMS, Tricks and More! Click UI icon pack and wallpaper pack comes with over 860+ HD icons and 10 HD wallpapers. All UI icons are in a nice circular shaped that apply to all the apps you have. While, some of the icons are "themed" with the Click UI icon pack they will all still be shaped circular. Click UI also brings 10 HD wallpapers that you can apply to your Android device. The wallpaper that was shown in the beginning of the video does not come included, but will be linked down below. With the wallpapers included my favorite one was the purple one that was orange in the middle. It gave my Android device a nice color contrast throughout the homescreen. Click UI icons are also all different colors, really giving that color contrast on your Android device. Be sure to check out Click UI icon pack/wallpapers for Android device and let us know how you like it in the comment section below! 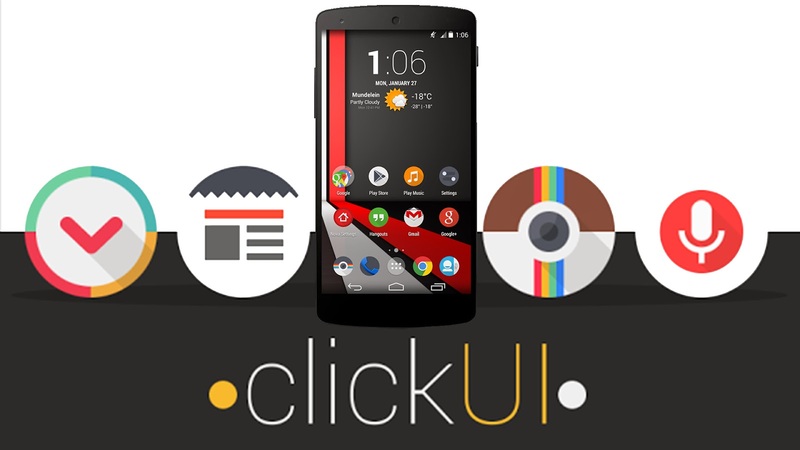 Download Click UI Icon Pack and Wallpapers using the links below!